The new guidelines recommended by the USDA encourage fish twice per week as a healthy diet habit! Up in Washington State, wild salmon is our fish of choice! My family loves sauce with their salmon, and here is our favorite sauce recipe. It is simple, but delicious! Mix everything together! Enjoy! Practice the Lifestyle Solution of adding fish to your diet twice a week! The easiest way that we have found, is to cook our salmon on top of a cedar plank on the barbeque. Make sure you soak the plank in water for about an hour to avoid a fire! Salmon is wonderful done this way, and Costco usually carries cedar planks at this time of year (summer), in a package of 4 to 6 of them! 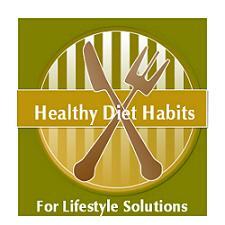 Be sure to check out my Healthy Recipes section - new recipes will be added frequently!